The end of January for nonviolent resisters inside and outside of Cuba has new added meaning. The birth of Cuban national founding father Jose Marti is on January 28, 1853; while Cuban nonviolent martyr Harold Cepero was born a day later on January 29, 1980; and finally Mohandas Gandhi was assassinated on January 30, 1948. Both Marti and Gandhi had a profound influence on the Christian Liberation Movement youth leader Harold Cepero and one of its founders Oswaldo Payá Sardiñas. All of these men died violently, but only one, Jose Marti, advocated violence as the solution to a political problem: the question of Cuban independence. Cuba's republic was born out of a protracted war between Cubans and Spaniards that began in 1868 was waged for ten years lay simmering for 17 years only to explode again into a brutal conflict that was ended by the intervention of the United States in 1898 and a four year occupation that ended in 1902. The nonviolent chapters of the struggle for independence have been largely buried while the martial exploits of its soldiers and general's glorified. At the same time a political culture emerged that elevated revolutionary political violence as both legitimate and virtuous. Cuban democracy suffered two dictatorships that were overthrown with both violent and nonviolent elements. In both cases the violent elements overwhelmed nonviolent civil society and plunged the country into chaos and tyranny. Gerardo Machado was democratically elected but refused to leave office and led to a national resistance both nonviolent and violent that overthrew him. The violent element made Fulgencio Batista into a national figure who would be democratically elected in 1940 and later return to become dictator in 1952 overthrowing Cuba's democracy opening the way for another mixed resistance that had violent and nonviolent elements. The violent elements dominated and democracy was never restored and Fidel Castro began is five decades long tyranny. There are dueling legacies at work here. What we have today in Cuba is a direct result of the triumph of this tradition of violence culminating in the totalitarian regime of the Castro brothers with its constant appeal political violence in its most extreme manifestation: Communism. Although totalitarian and communist the Castro regime has collaborated with other regimes that were extremely violent but of a different political tradition. 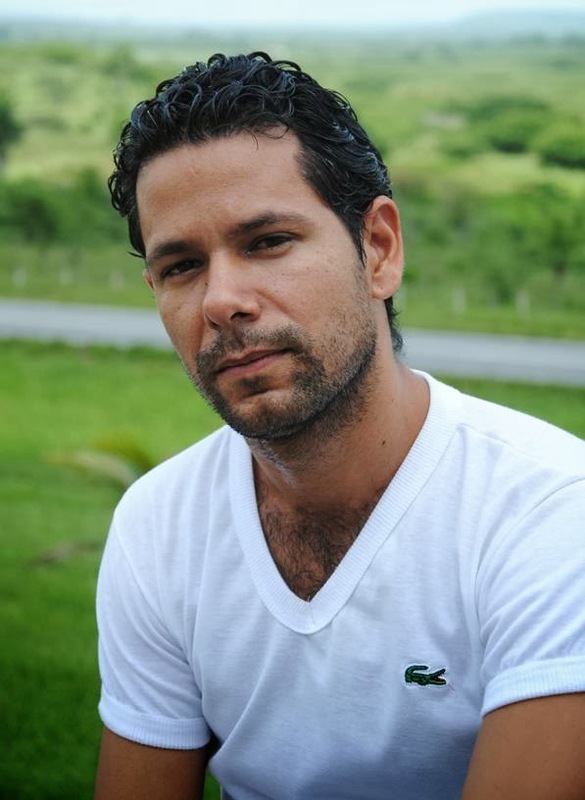 Harold Cepero was a youth leader in a movement founded by Oswaldo Payá Sardiñas and other lay catholics that is the antithesis of this tradition that embraces and is inspired by Mohandas Gandhi, Martin Luther King Jr., and Dietrich Bonhoeffer. Despite the terrible performance of the United Nations Secretary General in Cuba over the past week and the squalid state of affairs at the United Nations Human Rights Council, human rights remain as important as ever and precede the United Nations because they are part of the natural order and their modern understanding first emerged in debates during the Middle Ages in the Catholic Church. Human rights are not something granted by either the nation state or the international community. It is something that precedes both and how they respect the rights of persons determines whether these states or community are just or tyrannical. They serve both as a measure and a protection against the powerless individual against the powerful. One could make the case that they are the ultimate defense or shield against injustice. Today, voices once again cry out for a violent response claiming that the way of Gandhi would not work in Cuba. Despite the fact that the most successful challenges to Castro rule in the past 30 years were first the Cuban Committee for Human Rights campaign to denounce human rights violations in the Cuba; followed by the Varela Project which demonstrated that tens of thousands of Cuba wanted change to a democratic system that respects international human rights standards; and the Ladies in White who took to the streets nonviolently to demand the release of their loved ones and reform of the system to make the category of prisoner of conscience an impossibility in Cuba. There are other nonviolent movements doing important work in Cuba but wanted to focus on three historical highlights. What is ironic is that the critique leveled against nonviolence in Cuba was also leveled against Gandhi in India and Martin Luther King Jr. in the United States. Those critiques were wrong in India, and in the United States and are also wrong in Cuba. Repeating the same cycle of violence in Cuba will only lead to the destruction of the Cuban nation - which is extremely battered and damaged by the current dictatorship. One concluding observation for advocates of violence and that is that for a violent campaign to succeed it requires the assistance of an outside government to back the violent insurrection and even then the rate of success is half that of nonviolence which does not require outside support. If the past week has taught Cubans one thing is that at the level of nation states no one is coming to the rescue. Nonviolent resistance is the only option that has a reasonable chance of success in the Cuban context the fantasy of violent resistance in some quarters can only benefit the dictatorship because it has no chance of succeeding. Arun Manilal Gandhi, Gandhi's fifth grandson, today initiates the latest edition of Gandhi-King Season for Nonviolence that begins on the day of Gandhi's assassination and ends on April 4th the day of Martin Luther King Jr.'s assassination. We should join this tradition and add other nonviolent martyrs to remember and honor. A question for Cuban freedom activists inside and outside of Cuba: What would Harold Cepero do?